Newark, New Jersey. Adjustable lens by Voigtländer & Sohn, Braunschweig, Germany. Gift of anonymous donor. On December 4, 1942, The New York Times posted an obituary for Louis Borsum (1856-1942), who “developed the Reflex Camera and Metal Polish.” Borsum died at the age of 88, a retired inventor living in East Orange, New Jersey. 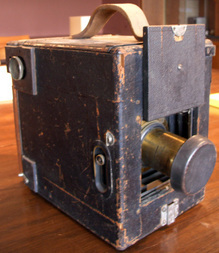 Originally from Germany, Borsum was a pioneer in the development of photography equipment. 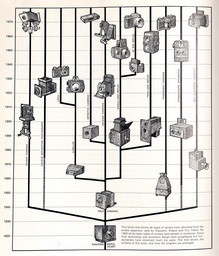 His first patent was filed in 1891 and a later variation on the Reflex camera, shown here, was patented in 1895. 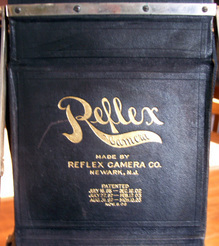 Unfortunately, the business did not last long and the development of a single reflex camera was left to others. The Reflex Camera is a classy looking item........I doubt there are many of these around today as I would love to have one !